Many garages lack the necessary space for turning a vehicle, which often causes you to reverse into or out of the parking space. This is where a turntable can provide a solution. 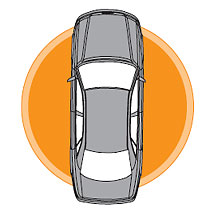 By pressing a button you turn the vehicle on the spot and leave the place in forward gear.